Deal with daily stresses such as noise, fatigue, challenging situations or tasks, or distractions. 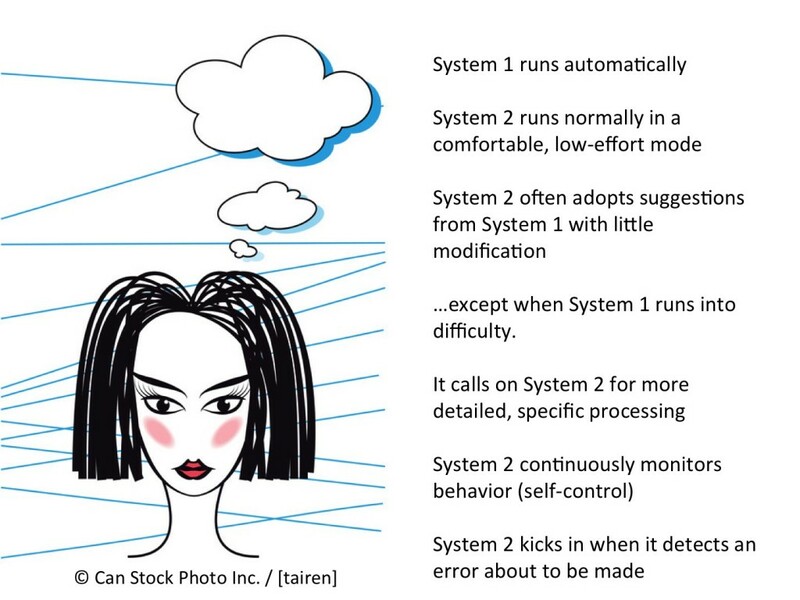 System 2 thinking doesn’t merely look over your shoulder to “correct” illogical system 1 thinking. The interplay between these two systems is much more complex. The two systems have deep connections and influence each other. 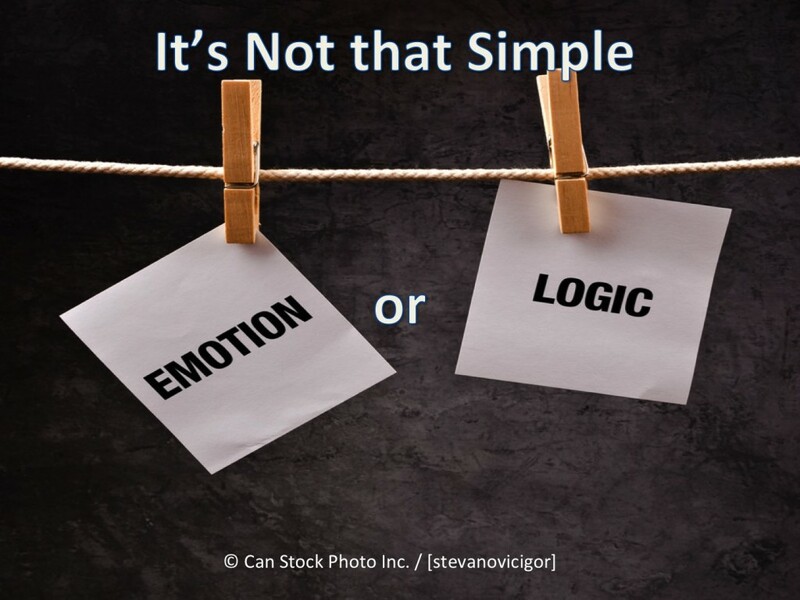 Emotions generated by fast thinking affect logical system 2 thinking. And fast thinking, when it doesn’t find meaningful associations that fit the current context calls upon the logical system 2 for help to interpret what is going on. I had an opportunity to experience this interplay sitting in a bar talking with Linda Rising at an agile conference. A loud angry voice coming from the lobby abruptly interrupted our conversation. Initially, I was frightened. Then annoyed. Then irritated. (My emotional system 1 thinking kicked in). The yelling didn’t stop. Did someone need help? Why was the yelling man so upset? (Again, my system 1 was trying to connect yelling with some reason to be yelling). But I couldn’t understand what the yelling was about. And then, seemingly out of the blue (system 2 thinking coming to the rescue) I remembered that there was also a conference in the hotel on Tourette’s syndrome. That loud angry voice now made sense. It was the voice of someone with Tourette’s. It is too simple to say that our brain is either emotional and associative (fast thinking) or logical (slow thinking). We don’t get to choose which form of thinking we use. The two systems interact…and that’s where it gets really interesting. Being aware of how my brain works hasn’t stopped me from being swayed by my emotions. But it has made me more aware of thinking dynamics. I may not be able to stop my knee-jerk reactions, but I am aware now that my delayed reactions and thoughts might also be helpful, if I give them enough time to surface.